We at Ashoka believe that the best way to tackle social challenges is to identify, support and nurture the people with the best ideas, proven to change society for good. Ashoka is the largest global network of leading social entrepreneurs (Ashoka Fellows). 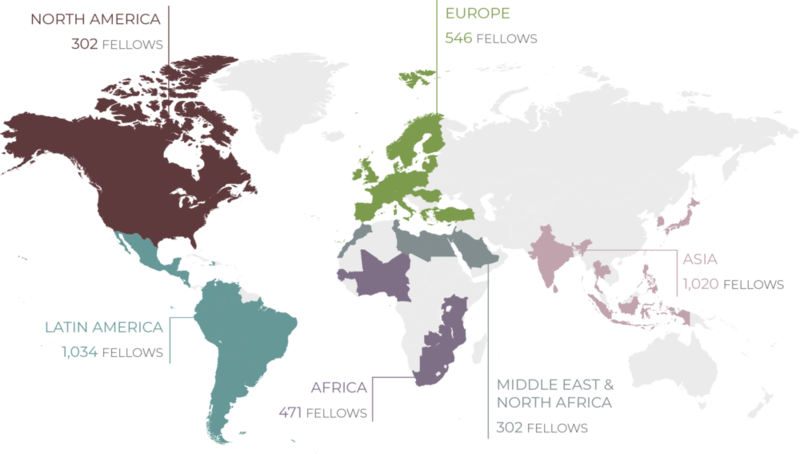 Since 1981, we have elected and supported over 3,000 Fellows working across 82 countries. 90% of Fellows see their ideas replicated by government bodies or other organisations. 57% of Fellows change a national policy within just 5 years of their election. 83% of Fellows change a system within 10 years of their election. 93% of Fellows, even 10 years after their election, are still pursuing their original goals. Ashoka Fellows are visionaries who have spearheaded worldwide movements in areas including microfinance, open education, citizen journalism, among others.